With the recent CES show in Las Vegas, tech geeks everywhere are buzzing with anticipation over this year’s most exciting products, set to be consumer-ready sometime in 2014. While most of the products announced were “sequels,” the repairs and upgrades to our most beloved toys of last year are still plenty to get excited about. If CES 2014 showed us anything, it was that this would be the year of OEM’s catapulting us into the world of science fiction, and connecting us to devices and gadgets we could only dream of 20 years ago. As a custom case supplier for OEMs, here at Tetrafab we keep a close eye on the world of technological innovation. While there were literally hundreds of jaw-dropping items on display this year, we’ve narrowed it down to the top 10 gizmos that we’re most excited about. With smart phones and tablets now becoming a part of our everyday lives, the days of a wristwatch having any sort of real function, other than a flashy piece of jewelry, are long gone. Pebble had hoped to change all that when it released the smartwatch, but it fell well short of the lofty expectations the company had set due to it’s lack of apps and a clunky design. While it had some great features like waterproof capabilities, Gorilla Glass, and an incredible 7-day battery life, the watch didn’t create nearly the excitement the creators had intended. Enter the Pebble Steel. The latest version sports a sleek new design and it’s own app store, and many people are now hoping that the Pebble Steel will live up to the potential that so many saw in the previous model. 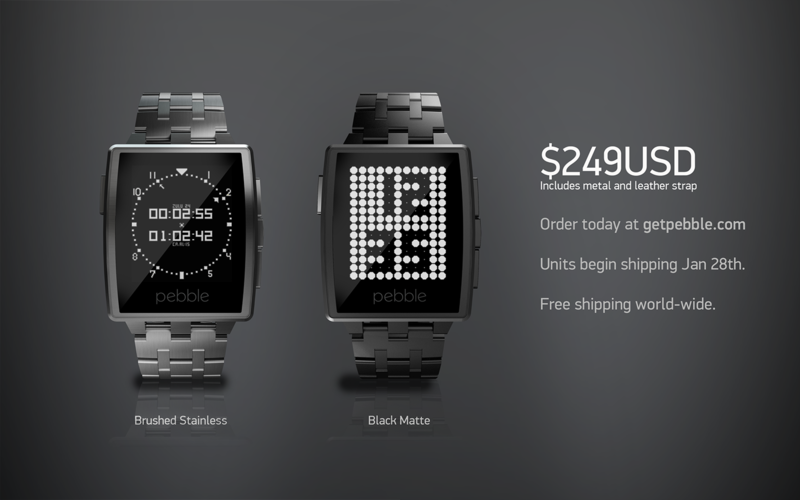 Accompanied with a very affordable $249 price tag, the Pebble Steel could cause quite a splash when it debuts later this January. While Apple did NOT announce any new information on the rumored IWatch, several different trusted sources for tech-news, such as Wired and TechCrunch, have confirmed Apple currently has over 100 people working on a wearable device project that is set to be released in 2014. Whether or not this product will be more of an additional interface to the IPhone, or it’s own stand-alone device, remains to be seen; however, Apple hasn’t announced a brand new product since the IPad, so when they finally do pull back the curtain on this little gadget, it’s going to be BIG. 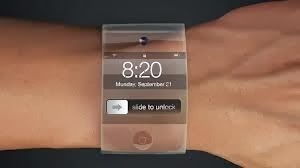 With the fine-tuning of curved screen technology reaching the final stages, the possibilities of Apple incorporating curved glass into a wristwatch are endless. “Wearable tech” is definitely experiencing mixed results from testers. Many of the complaints tend to be along the lines of “Yeah this is cool and all, but it doesn’t really do anything that my other devices can’t already handle.” Google Glass is no exception. While it definitely has some neat features with a multitude of apps that can assist you in your everyday experiences–such as golf, bike riding, cooking, and travel–with a $1,600 dollar price tag to basically become a “beta” tester, right now it’s mainly a toy for rich hipsters. 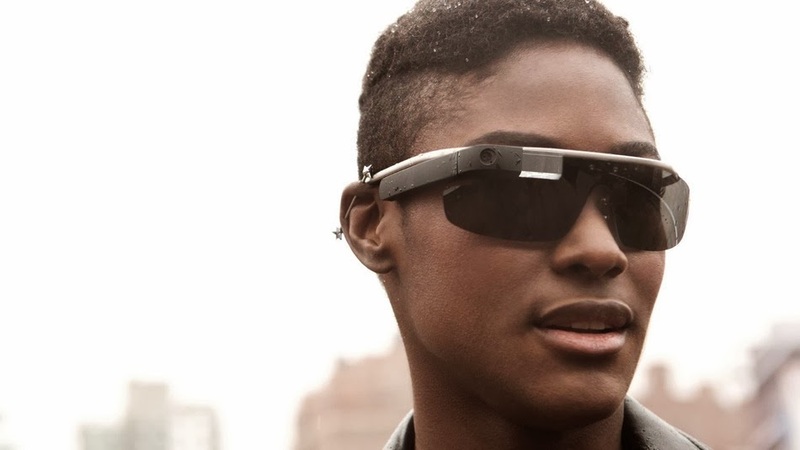 However, with the announcement of the Google Barge possibly being a playground for Glass owners, and leaked information about a new consumer-ready version of the product that is supposedly hitting the shelves in 2014, Google Glass 2 definitely has people excited. We shall see (no pun intended). For those of you who don’t keep up with gaming news, Valve’s Steam Machine is supposed to change the way we play PC games. It isn’t as simple as one product that will act as a sort of “console” for your PC; instead the steam machine is a PC gaming platform that will support multiple models from a variety of OEMs, all at different prices. The platform will have a unique controller that attempts to provide an easy transition for the keyboard and mouse enthusiasts of the PC gaming sphere. With a beta OS already in the testing phase, the first batch of Steam models were unveiled on the CES showroom floor to very high praise. 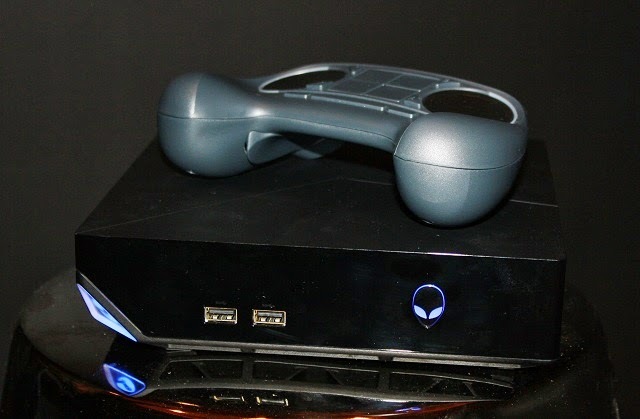 In particular, Alienware was wooing consumers with a sleek design and an ergonomically sound handset. Plus, the glowing alien head is just really cool looking. LG and Samsung are always pushing the envelope when it comes to improving the home television experience. 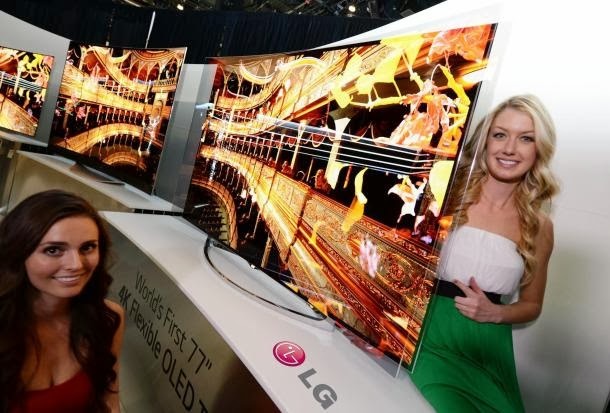 At CES 2014, their bendable television sets were truly a sight to behold. The LG 77 inch flexible 4k OLED television was one of the highlights of the entire weekend. This model allows the user to switch between a flat or bowed screen, which adds a 3D element to your viewing experience without the use of those pesky glasses. While it may seem like a bit of gimmick, just one look at this pencil-thin set will certainly change your mind. No price has been set yet, but expect to have to shell out some serious cash to get this beauty into your living room when it hits the shelves later this year. With 4k television technology still in the infant stages of development, people are eagerly waiting on the day when 4k is the new 1080p…but it’s just not there yet. We still don’t have much media that can utilize the beautiful resolution because nobody is recording 4k content. Not to mention, true home theater enthusiasts have given up on flat screen sets because they want 100+ inches of screen space, without sacrificing resolution. Well, short-throw technology, which shoots the image directly up on the wall from a ground based projector, has your answer. Besides the added convenience of not having to run cords up to your ceiling with traditional projectors, short-throw projectors are stylish and can be a nice decorative addition to any basement or family room. 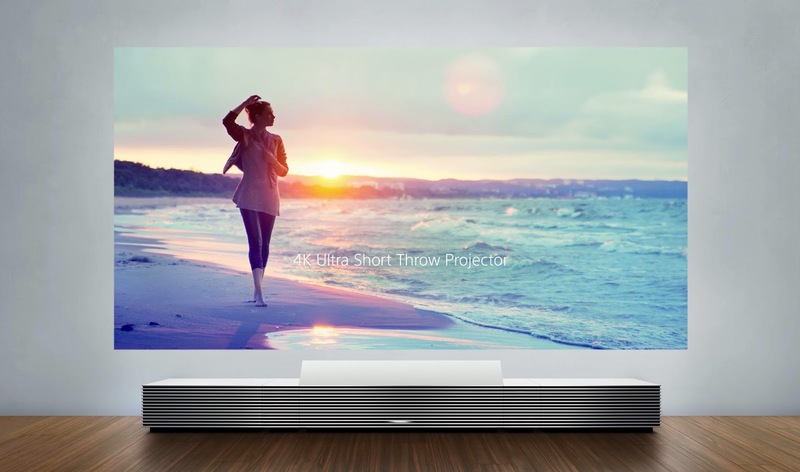 LG released it’s Hecto short-throw projector model last year for a cool $8,000, but this year technology giants Sony and Phillips announced they were debuting short-throw projection models also, with Sony releasing a 147 inch 4k version for $30,000 to $40,000. No, you did not misread that, those numbers really do have four zeros after them. Don’t fret however, if you’re not willing to dish out that kind of money, the Phillips Screeneo model that is set to be released this Spring will be priced at a reasonable $1,800; the image is only 720p, but at least your kids will still be able to go to college. With more and more consumers looking for alternatives to Apple’s wildly successful IPad, the market for high-powered tablets has never been stronger. Aiming to tap into this tech-hungry demographic, laptop powerhouse Lenovo has announced the release of their new Thinkpad 8. With an Intel Atom “Bay Trail” processor that can run Windows 8.1 with ease and pre-installed Microsoft Office software, the Lenovo Thinkpad is sure to be the go-to tablet for business professionals. It sports a beautiful 1,920×1,200 pixel screen resolution, and a massive 8.3 inch display. 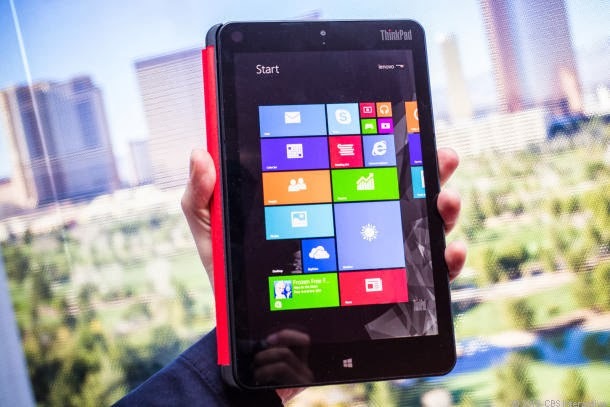 Lenovo is also releasing a “souped up” 4G LTE version with 128GB of storage, but the base model Thinkpad 8 is set to release later this month with $449 price tag. With the HUGE success of Samsung’s Galaxy S4, the IPhone has been knocked off it’s throne as king of the smartphones. While the 5S did give us some impressive new features like fingerprint scanning, 64-bit processing, slo-mo video recording, and a beautiful display, it quite literally fell short in the screen size department…again. With consumers now using their phones to stream television, watch videos, and even watch movies while in the airport or waiting at the DMV, a 4-inch screen just doesn’t cut it anymore. 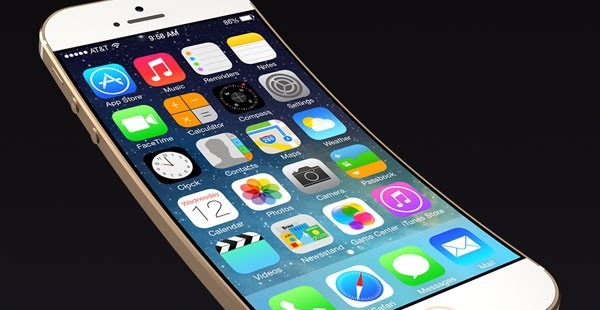 Everyone knows that curved screen technology is here, and while Apple hasn’t officially announced anything yet, don’t be surprised if they swing for the fences with a large, curved screen for the IPhone 6. Not to mention all the perks that will come with the new IOS 8. As previously stated, Samsung rocked the smartphone world with their incredibly successful Galaxy S4 at the start of 2013. Many IPhone loyalists could be found tossing their beloved IPhone 5 in the garbage on their way out of the store, gazing at the beautiful 5 inch display of the S4 with bewilderment and joy. The Galaxy S4 also provided users with a much more durable frame and screen than the IPhone, which has been known to crack quite easily and practically required users to keep it in a Fort-Knox-style box that took away from the phone’s aesthetic quality. Rumors about the Galaxy S5 have been flying around recently, with everything from a metal design like the HTC One, to a 2k display, and even a 20 megapixel camera. 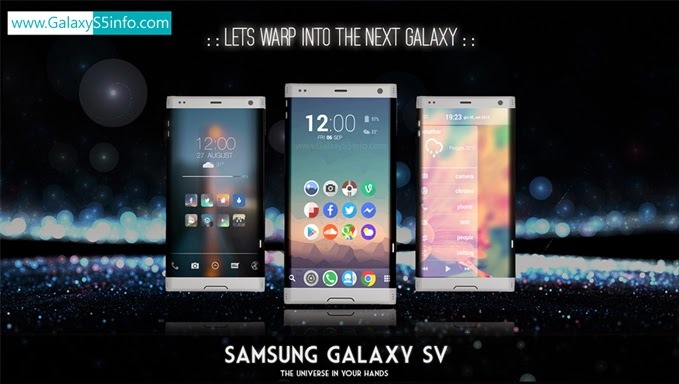 If these are true, the Galaxy S5 could potentially be this year’s most sought after device, period. If it follows the same schedule as previous models, it’s possible we could see the GS5 unveiled by the end of the first quarter. Alright I’ll admit it, I am a little biased on the Oculus Rift because I am one of the few lucky individuals that has actually gotten to use one of these wonderful VR simulators. 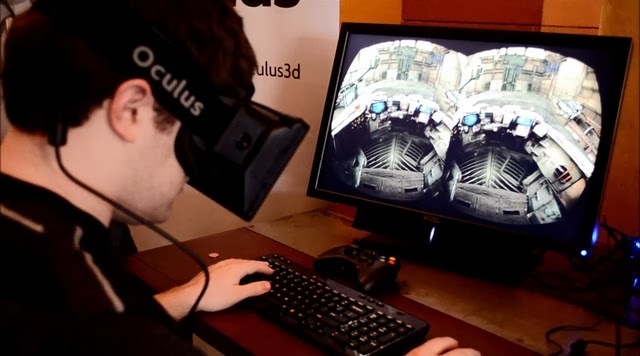 If you have been living in a hole for the past two years, the Oculus Rift is a free-motion virtual reality headset that was developed back in 2012. The headset wraps around your entire field of vision and is completely controlled by your eye and head movements. While it is nowhere near ready for commercial use, program developers have been having a field day making new games and converting current PC and console titles to work with the Oculus software. I just so happen to know one such individual, and I was able to test an Oculus Rift in September of last year. The experience is literally indescribable. I was able to fly a spaceship and explore the solar system, ride a roller coaster through a castle, play Half-Life 2, and even got to test my skills in a psychedelic “pong-style game” where the paddle is controlled by your eyeballs. The Oculus provides the user with true immersion, and because it wraps around to your peripheral vision, the feeling can be almost overwhelming at times. The only massive drawback was the graphics, which were somewhere between Xbox and Playstation 1 in terms of clarity, leaving me to contemplate the limitless potential of this device if they found a way to improve the image resolution. Well Oculus Rift gave us a peak at that potential with their “Crystal Cove” iteration. “Crystal Cove” stole the show at this year’s CES 2014, winning multiple Best Of Show awards from several different tech magazines and web editors across the country. It’s still not ready for commercial distribution, but I am confident that in a couple years the Oculus Rift will be changing the way we think about Virtual Reality. Previous Previous post: What is an OEM, and why do they need custom cases?